To create a short film 3 – 12 mins long. This assignment is designed to use everything learnt in semester 1 and bring it all together. To see how the visual, sonic and editing style of the film reflects the content. 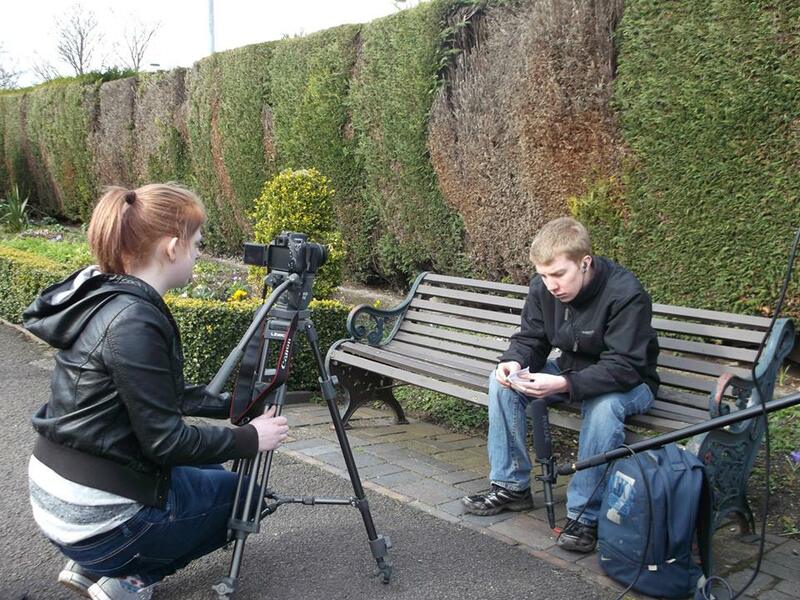 To use technology correctly to enhance your footage and narrative this includes camera work, editing style and sound. The script was in production for a month due to personality and creative style disagreements. Eventually a decision was made by the director that the film should meet three criteria points: It should be interesting and keep the audiences attention. It should be compatible with the time frame given. And it should be enjoyable to make for crew and cast. Bottled Up Once this was decided the script was soon completed allowing the appropriate search for actors to continue. Three platforms were used to search for cast. Social media, old contacts and star now. The male lead roles had plenty of applicants and Pete and David were picked to play father and son. However the female role, all applicants were either too old or too far away as it had been agreed that the crew would pay travel costs. 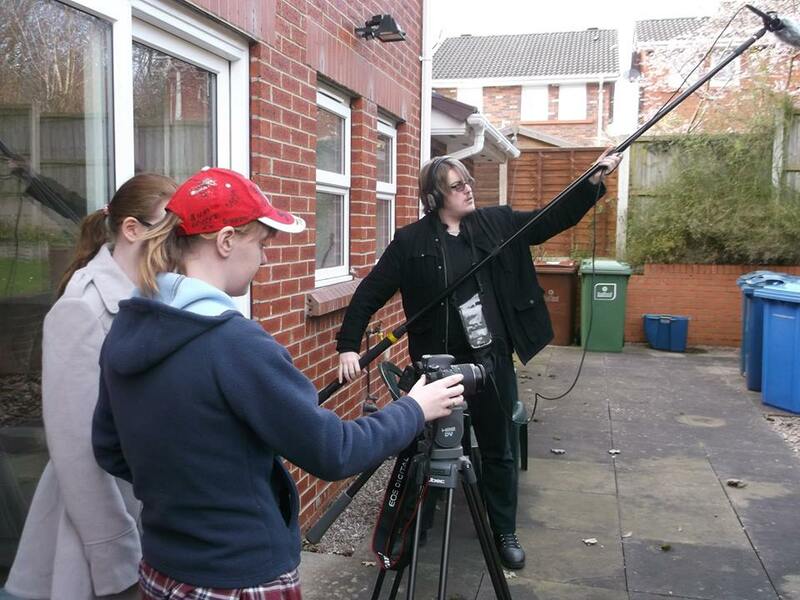 Instead a date for filming was set on the week of 3/3/2014 for Monday, Tuesday and Wednesday, 9.30 start each day. Equipment was also booked and everything was ready to go apart from the girlfriend position. 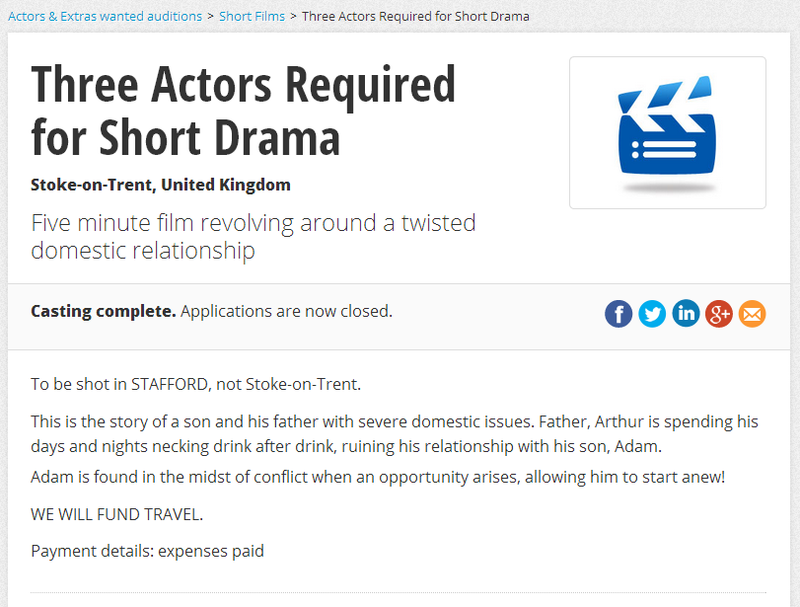 Due to this the Monday was selected to film scenes where the girlfriend wasn’t involved to give us more time to find a suitable actor. 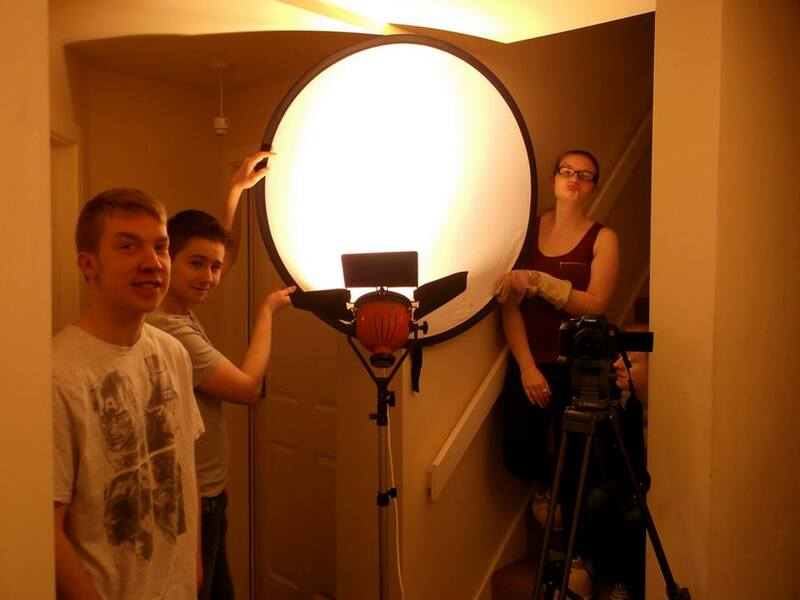 Filming began in location 1 however an issue arose regarding the lighting. Different lights had been booked out to what had been expected. None of the crew had had any proper experience at using red head lighting. The crew quickly adjusted but it caused filming time to be much longer than expected. It also meant that these lights had to be plugged in to work, so there was no where to use them in our outside locations. The crew kept the actors up beat by involving them as much as they could. It was also evident throughout the shoot that we weren’t going to get a female role. This caused some heavy re-scripting on set by director and script writer Ben Gray. A best friend was hastily created instead but this meant many scenes had to be adjusted so the tone of the overall film was not changed. Therefore shooting that day was cut early to re-organize ourselves. Luckily we had planned a back up of a male best fiend and already got in contact with an actor who was available to work the Tuesday and Wednesday. The crew collected themselves and got ready to work again. Tuesday was much more organised and all the majority of the best friend’s and son’s scenes were completed on scheduled. This allowed the crew to relax and work more fluently. There were a lot more location changes of which the travel took up the majority of time, rather than the setting up of items. Again the actors were very pleasant and worked there hardest alongside the crew to finish a successful day. This was the last scheduled day for filming which meant everything had to be completed. This in turn made it inevitable that we were going to run over but only by an hour. Everyone was very tiered which made the crew start to try and rush shots but were forced to slow down when they remembered the editing process which would be harder if production wasn’t completed properly. The actors again were extremely good and in high spirits. Production finished at 19:30 hours on the Wednesday night. Editing will commence in the following weeks. A lot was learned on this shoot, mainly how to use red head lighting and how to position them. Script writing techniques were highly improved due to the re-scripting under pressure. Emma Simms Blog at WordPress.com.